How Far is Ozone Urbana Belvedere? Urbana Belvedere - Premium Apartments - Specifications Structure Seismic Zone II compliant structure RCC framed Structure with solid concrete block work All internal walls plastered to a smooth finish One staircase & lift for each block Painting Exterior: Exterior weather resistant paint / anti-fungal paint Interior: Plastic / Acrylic Emulsion paint Ceiling: Oil bound distemper Water supply & Plumbing Rainwater harvesting Sewage treatment plant (STP) and Water treatment plant All water supply lines are of CPVC All plumbing lines will be pressure tested Sewer lines will be of UPVC Electrical Fire resistant electrical wires. Elegant modular electrical switches of reputed make. Electrical points for split AC in living & master bedroom. TV and telephone points in family room and master bedroom. One earth leakage circuit breaker (ELCB) in every apartment unit for safety. One miniature circuit breaker (MCB) for each circuit provided at main distribution box in every apartment Power load for each apartment-5KW Power backup of 2 KW for every apartment 100% power backup for common areas and utilities. Doors & Windows Main door in hard wood frame with engineered wooden shutter. Internal doors with engineered wood frame and engineered wooden shutter. Toilet doors with engineered frame and engineered wooden shutter laminated inside. Brushed steel finish brass fixtures for main door Brushed steel finish hardware of reputed make for all doors. UPVC/anodized aluminum windows with 5mm clear glass. Sliding French windows for living room / family as per design. MS railing for Balcony and Utility as per design. Flooring Superior quality vitrified flooring for living, dining, kitchen and bedrooms except master bedroom. Laminated wooden flooring in master bedroom. Sit out- vitrified tiles. Balcony / utility / toilets antiskid ceramic tiles. Entrance lobby and staircase in natural stone/vitrified tiles. Kitchen/Utility 600mm dado with high quality glazed tiles above counter level. Stainless Steel sink in kitchen and utility. Electrical points for refrigerator, water purifier & washing machine(utility). Good quality CP fittings. Toilets Superior quality antiskid ceramic tiles flooring. Glazed ceramic tiles dado up to 7 feet height. Superior quality EWC in all toilets. Counter washbasin in master toilet and wall mounted wash basin in all toilets. Provision for geyser in all toilets. CP fittings of reputed make. Provision for exhaust fan in all toilets. Grid tiles false ceiling in all toilets. Entrenched as a realty developer Ozone Group is committed to providing you a better quality of life and redefining the standard of living through innovative real estate products. A committed focus on three core values – Customer Centricity, Quality, and Transparency. offerings range from residential condominiums, serviced apartments, hotels, resorts, business parks, industrial clusters, integrated townships and even retail malls. Our projects are currently being developed in Bangalore, Chennai, Mumbai, and Goa. The builder is well based in Chennai and is full-fledged in developing residential properties in Chennai and its suburbs. Ozone Pinnacle is also a residential project of Anna Nagar currently under construction. The builder is in multiple localities is also well known in and around Bangalore for the residential project of the builder are major landmarks in the posh area of Bangalore. 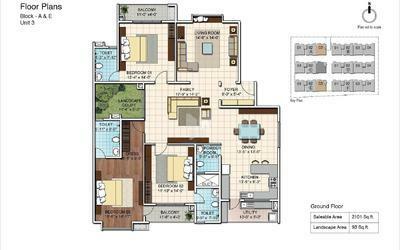 Ozone KNS Oasis is a ready to occupy project by the builder, the project was a most welcomed project by the users as it satisfied most of the requirements of a first-time home buyer. Mumbai one of the upcoming residential areas where finding an apartment is little tougher to meet all your need for a dream home. 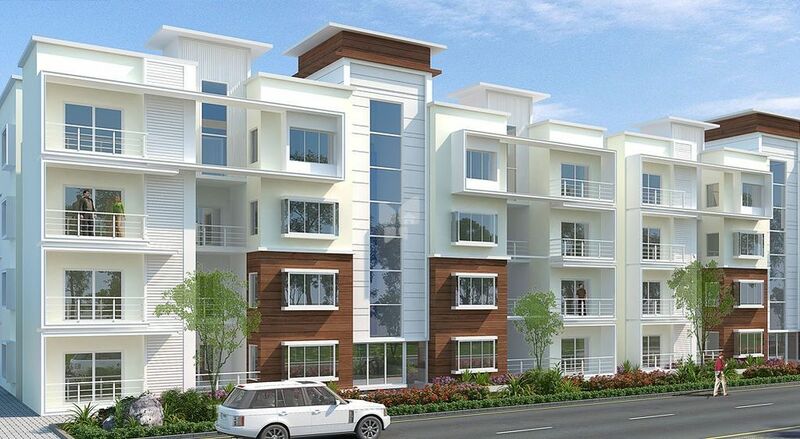 The Ozone Mirabilis situated in Vakola, Santacruz East is a pre-launch project by the builder. 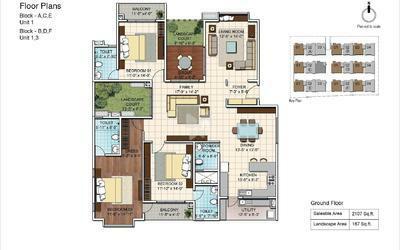 The project is a residential apartment project with 1,2,3 BHK Apartments with various dimensions. Pune holds one of the established residential projects by the ozone group, The Ozone Nilay an apartment project located in Talegaon dadhade is ready to occupy project which has been one of the most praised projects among the competitors in Pune. · Delivering value destinations to live, work and play through innovative concepts in real estate development, abundant infrastructure, and sustainable eco-friendliness. · We are committed to providing world-class products & services and upholding transparency, customer centricity, and superior quality.